Made with durable fabric and a comfortable ventilated suspension with a tubular aluminum frame, the superlight Graviton 38 has a new zipper system allowing you to easily reach items in the entire body of your pack - even ones in those hard to reach nooks and crannies. 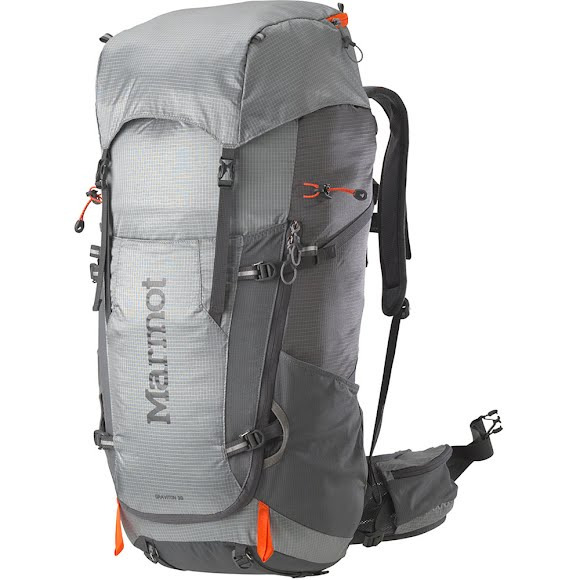 Various attachment points and pockets keep all your gear organized for those long multi-day hikes. Marmot&apos;s Airflow™ technology is a range of performance fabrics that are engineered to provide up to 50% more breathability. The construction of the fabric allows a high amount of air to pass through keeping you cool and comfortable when active. Measurements 27.5" x 12.5" x 8.75"